This aspect of treatment focuses on the musculoskeletal system, including pain and damage to the joints, muscles, tendons and ligaments. Everyone experiences this type of pain at some point in their life. Our treatment often includes one-on-one, manual therapy that is evidence-based and personalized to relieve pain and muscle spasms, decrease joint swelling and inflammation and improve joint mobility and increase range of motion. These are key aspects in restoring function. 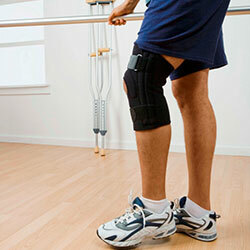 We believe physical therapy following surgery is extremely important to improve patient function. Not every surgical procedure is the same and our post-surgical programs are tailored to the individual. We will be in close communication with your surgeon to create the best possible treatment plan for you. We also believe in “Pre-habilitation,” which is treatment prior to surgery to prepare your body to be a step ahead for the recovery period. We understand how difficult it is to sit out of a game because of injury. We offer sport-specific rehabilitation and training to athletes to get them back to their sport as well as decrease the potential for re-injury and maximize their movements to allow them to function at their optimal level. We also design plyometric and agility training and implement interval throwing and hitting programs for overhead athletes. We understand that when the spine is injured and causing pain, it is nearly impossible to function. 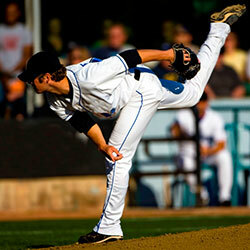 We offer proven treatments that help restore proper spinal mechanics and restore normal function. We also design personalized exercise programs that develop core stability and flexibility. 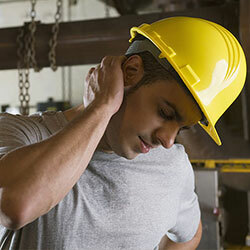 Injuries at work can create a major strain on you and your wallet. We understand that and will work with you to get you back to work as quickly as possible. Often times, it is not just one incident that caused your injury. Repetitive stress and strain is a major factor with work related injuries and we will look at the cause of the injury in order to prevent a recurrence and allow you to complete your duties at your maximum level. 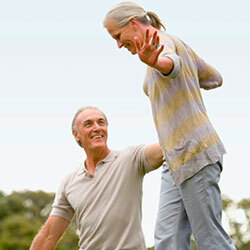 We understand that poor balance and falling is a major problem. Falls happen in one in every three people over the age of 65 and are the leading cause of accidental death in people over the age of 85. Our goal is to set up a program that focuses on restoring balance, increasing strength and flexibility and improving confidence to allow you to return to your normal activities. Gyms can often be intimidating and confusing with their long contracts and programs. We want you to feel comfortable and safe in an environment to work out in. We offer an independent gym program that is available during all of our open hours. With the gym program, you will be evaluated by a member of our team and set up on a program based on your goals.